(By John McManus staff / Builder Online. Click HERE for Full article.) 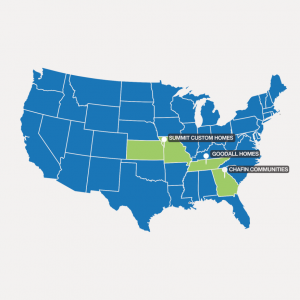 Home building's mergers and acquisitions acquirers include Berkshire Hathaway, builder of 5% of America's new homes. Shortly before he agreed to become one of Clayton Properties' charter members of a thus-far exclusive club of three site-built operators within a manufactured housing empire, Kansas City-based Fred Delibero took a trip up to one of the Clayton manufacturing plants in Andersonville, Tenn., about 38 miles due north of Clayton's Maryville headquarters. There, he got a first-hand look at how six to ten 2,000 sq. ft. homes a day start from nothing, and proceed along an eight-station assembly line, before they roll off the line, ready to truck to a designated home site. 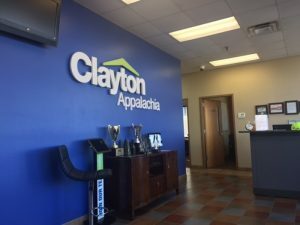 "If the workers at each station hit their productivity and quality assurance goals for the day early, they go home early," said Keith Holdbrooks, president of Clayton's home building operations. That productivity, those robotics, those "tables" for each fabrication station where a few humans and a lot of automation produces floors, walls, ceilings, finish features, windows, installations, and roofing all quite impressed Delibero, who'd developed his Summit Custom Homes operation into Kansas City's No. 1-ranked builder by 2013, with better than $200 million in annual home sales revenue. So, mental-wheels-spinning, Delibero joined Eric and Daryl Chafin of Georgia-based Chafin Communities and Bob Godall of Gallatin, Tenn.-based Goodall Homes in Clayton's guinea pig stable of site builders. Although the pre-acquisition plant visits were intended mainly to show Delibero, the Chafins, and Goodall the magnitude of operational and financial resources Clayton could bring to the table as new owners, another thought process sparked as each site builder toured the assembly plants. Soon after each acquisition, the engineers, robotics designers, and operations experts at Clayton homes returned the favor, organizing tours of the stick-built job sites of each of the three newly acquired companies. Clayton chief operating officer Rick Boyd--who knows his way in and out and up and down every one of the assembly tables, based on their technical engineering, their design, and their functionality--said, "we have a lot we can learn for our automation processes from the site builders, and the other way around." Now, here's what Berkshire Hathaway's Warren Buffett noted in this year's installment of his legendary series of letters to shareholders: In 2015, Clayton branched out, purchasing its first site-builder. Two similar acquisitions followed in 2016, and more will come. Site-built houses are expected to amount to 3% or so of Clayton’s unit sales in 2017 and will likely deliver about 14% of its dollar volume. More will come. What's intriguing to us about Buffett and his belief in what Clayton chief Kevin Clayton and his team are doing is this: They're attacking the homeownership affordability challenge head on. Clearly, Buffett and the Clayton team "get" that the business case for affordability is, quite simply, more. More sales, more customers, more jobs, more economic value creation, and a more sustainable economic cycle. They're attacking affordability with one of the only "in your control" tools available to home builders—productivity. The two big undoings of affordability in American housing right now are land use regulations and productivity. Buffett and Clayton—because of their need to expand their land and operational assets in order to maintain growth and market share advantages—sell seven of every 10 new homes that cost home buyers less than $150,000. Think about that. Also, think about what you learn from a customer base that needs to pay less than $150,000, a customer-base Buffett describes as follows: Clayton’s customers are usually lower-income families with mediocre credit scores; many are supported by jobs that will be at risk in any recession; many, similarly, have financial profiles that will be damaged by divorce or death to an extent that would not be typical for a high-income family. 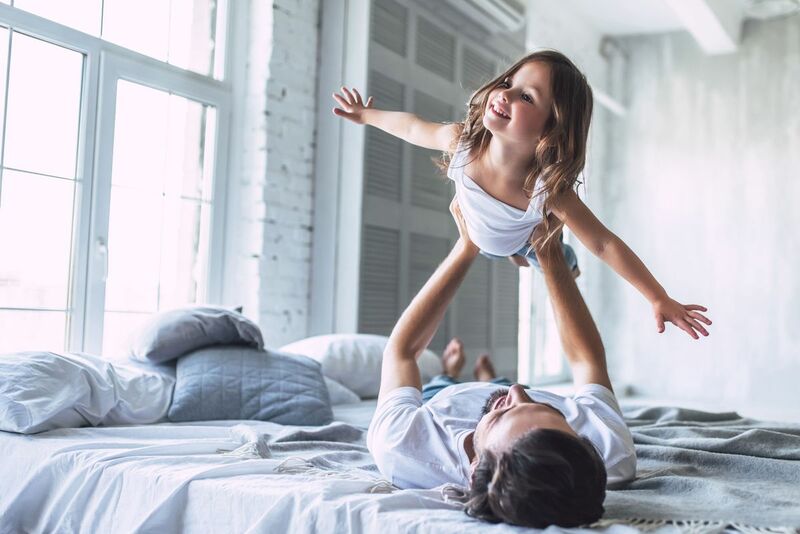 Those risks that our customers face are partly mitigated because almost all have a strong desire to own a home and because they enjoy reasonable monthly payments that average only $587, including the cost of insurance and property taxes. Clayton also has long had programs that help borrowers through difficulties. The two most popular are loan extensions and payment forgiveness. Last year about 11,000 borrowers received extensions, and 3,800 had $3.4 million of scheduled payments permanently canceled by Clayton. The company does not earn interest or fees when these loss-mitigation moves are made. Our experience is that 93% of borrowers helped through these programs in the last two years now remain in their homes Think about what it means to get really good at dealing with customers like these. We can talk about affordability, and we can write about it. But affordability is not simply about bringing prices down so that the hurdle of homeownership is lowered. It's about bringing customers' self-discipline, self-regard, and resourcefulness up to the point where they come through as buyers and owners, despite risks taken to give them a shot at it. We think that every time Clayton's new group of site builders takes a close look at the factory assembly process, and every time the engineers who develop the automated workflows and robotic processes see a home get built, piece-by-piece, on a home site, they're going to be fueled by a purpose and a direct experience of customers that most home builders rarely imagine. The Clayton people are looking at that $587-a-month customer and saying, "They're my customers, and both my business model and my purpose are to meet their needs." The $150,000 house. Is it a productivity issue? Or is it, as many of home building's established site building operators would claim it to be, a land-use and regulation issue? Now, Clayton has purchased three home building operators who make a living selling homes that price mostly above that $150,000 mark. Chances are, however, that knowing the size and the depth of the marketplace they could access if they could tap into the below $150K price line on new homes, they'll push productivity as far as it will go, possibly even into a zone where on-site and off-site converge. As Buffett notes, more will come as Berkshire Hathaway plays out its strategy to acquire more privately held home builders. And more will come, we have no doubt, on whether ever the twain will meet between site-built and off-site built home construction.